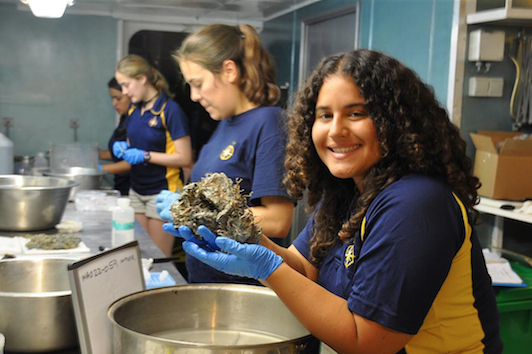 E/V Nautilus and NautilusLive are programs of the Ocean Exploration Trust, a 501c3 nonprofit organization that works at the frontiers of STEM education, technology development, and ocean exploration. We need your help to keep E/V Nautilus on course, to maintain the feed at NautilusLive.org, and to fund education programs across the country. Every donation helps. Act now. Donate 100% - Add 3% so that 100% of the donation goes to Nautilus Live. Nautilus Live has partnered with Network for Good to securely process your online credit card payment via Network for Good (tax ID 68-0480736). This transaction will appear on your credit card statement as "Network for Good." This transaction is subject to Network for Good’s Privacy, Security & Disclosure Statement and the Charitable Solicitation Disclosure. Copyright © 2010-2015 Ocean Exploration Trust, Inc. All rights reserved.